What is to Be Done When Empire is Trumped? The shock and awe of the recent US presidential election has taken the world by storm and has many on their heels. It has generated a flurry of facile explanations that can easily coax us into quietism by peddling crude reductivist arguments and encouraging scapegoating, such as ‘America is simply racist, ignorant, apathetic, misogynistic, xenophobic, etc.’ Rather than succumbing to mono-causal accounts, defeatist melancholia, self-aggrandizing finger pointing or the moralistic and fatalistic rhetoric of a ‘smooth transition,’ we would be better served at this point to develop a systemic account of the complex network of factors that have contributed to the current catastrophe precisely in order to forge multiple strategies for struggling against them in the short-, medium- and long-term. With this in mind, and with no illusions of being exhaustive or all encompassing, here is a provisory five-point plan for fighting the trumped-up American empire. The entire world is watching as the supposed world superpower plunges headlong into its own self-concocted abyss, in part because—through its imperial dominion—this means the decimation of large swaths of the world’s population, as well as the planet itself. Having a climate change denier in the White House who prefers profit-driven dogma to universal scientific consensus literally means that the entire future of life as we know it is at stake. In case you had any illusions before, this is not the time for spectator politics. We need to be in the streets, participating in strikes, organizing walkouts, coordinating boycotts, and developing new and creative modes of resistance. If you are susceptible to the liberal rhetoric of ‘accepting the results of a democratic process,’ if this supposed moral high ground persuades you that you can personally rise above the political morass, remember at least two things. First, as I have argued in great detail elsewhere, the US was not founded as a democracy, and the Electoral College is one of the many indications that it was explicitly established as an oligarchic republic. The current President-Unelect received approximately 1.5 million votes fewer than his immediate rival, and he simply would not be president in most countries in the world. Of the some 325 million people in the US, only about 225 million are eligible voters, of which around 58% or 135 million actually voted. Part of this was due to the clear winner in this election: abstention, which received 42% of the vote, whereas the other two candidates came in about 13 points behind by splitting 58% (61.9 million for the ‘winner,’ and 63.5 for the ‘loser’). Abstention, which has won every presidential election since WWII in a country that has one of lowest voter turnouts, is not simply due to apathy. It is encouraged by the system and is coherent from a certain vantage point: the two-party system presents major candidates who are both corrupt spokespeople for corporate power. Moreover, for those who did attempt to exercise their right to vote, many were prohibited by the gutting of the Voting Rights Act and the rightwing assault on electoral democracy. There was massive voter suppression and rigging, to such an extent that Greg Palast has argued that the election was stolen. Finally, of the 19% of the total population that actually did vote for the trust-fund baby turned real-estate oppressor and reality TV clown, 1/5th reported that they have an unfavorable attitude toward him. All said and done, we have a fringe, oligarchic demagogue with no political experience going into office, not a democratically elected leader with popular support. Second, fascism rose to power in the interwar period in Europe through the well-oiled machinery of corrupt and poorly functioning ‘democracies.’ It allowed, in a context of economic destitution not unlike our own, the state institutionalization of nationalism, racist xenophobia, belligerent militarism and autocratic rule. Although there are, of course, important historical differences, we would do well to remind ourselves that the rise to power of fascism required both a compromising elite and the quiet complicity of well-meaning liberals. Without this soft support, which often tries to shirk its responsibility by hiding under the transparent cloak of ‘tolerance,’ history might have been very different. As Sekou Odinga, former Black Panther and political prisoner, recently reminded us, organization is key to the transformation of established power structures. To intervene more effectively and maintain constant pressure, we need to band together in the labor of transformation. Intermittent protest is not enough, and the wait-and-see attitude of spectator-electoral politics—or should we say spectoral politics?—is utterly insufficient. We need grassroots political organizing that is not beholden to the agenda of institutionalized political parties and their corporate supporters. Join, establish, donate to or volunteer for organizations that will be at the forefront of socio-economic and environmental justice struggles in the coming years (such as Planned Parenthood, ACLU, NAACP, CAIR, SPLC, 350.org, Code Pink and many others). Community social and educational programs will be particularly important, as well as organizations providing legal services and a common front in establishing sanctuary cities and institutions to resist mass deportations. Broad-based coalitions to struggle against the acceleration of ecological degradation will be of the utmost significance, and the current movement by the protectors at Standing Rock should be an inspiration to us all. Organizations and movements like Black Lives Matter will only become more important as the full force of white supremacy—as well as what Jeremy Scahill has called Christian Supremacy—is unleashed on every so-called minority community, from Muslims and Latinos to women, LGBTQ and others. The labor movement needs to be further developed and reinvented in such a way that it can exercise more power by working in greater harmony with the struggles for racial, gender, sexual and environmental justice. Solidarity with workers around the world, the rejection of xenophobic scapegoating, and more expansive and creative inclusion of the precariat will all be key. Finally, anti-capitalist organizations that diagnose the core structural problems with the current system and chart paths to alternative socio-economic orders, some of which already exist, are absolutely essential. We must never forget that the rise to power of ProducTrump was the defeat of the establishment Democratic Party and, more broadly, of the history of Clintonism (which includes, of course, the Obama administration). This party has not delivered a viable leftist program and has simply further contributed to the repressive neoliberal agenda that destroys the lives of most people, most of the time. From NAFTA and Clinton’s deadly crime bill to Obama’s horrific deportation record, his kill list, and his appointment of those responsible for the most recent financial crisis to his own economic team, the DNC has proven time and again that its role is to quietly execute the dirty work of imperial corporatocracy under cover of progressive rhetoric. This is not the time, then, for the media-driven Obamostalgia that is sure to dominate the airwaves in the coming months, nor is it the time to persist in the myopic and patently false claim that HRC was the only viable candidate. If it was not clear before, this election should be understood as the final nail in the coffin that is Clintonism. This ‘lesser of two evils’ has definitively enshrined the greatest of all evils; and it is responsible for doing so according to an implacable logic brilliantly described by Green Party presidential candidate Jill Stein. The Sandernistas, by contrast, stand as the torchbearers for a new form of leftwing politics within the Democratic Party, and this election was stolen from them. If the corrupt DNC had not done everything in its power to sabotage Sanders’ campaign, we would likely be in a very different situation right now. Nearly all the polls showed that Sanders would have soared to the White House against Trump, as Glenn Greenwald recently highlighted in his incisive analysis. 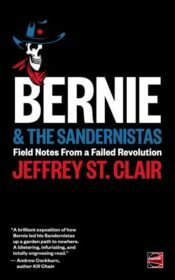 This is not to suggest that there were not serious problems with Sanders’ record and campaign, which Jeffrey St. Clair has consistently pointed out, or that Sanders himself did not turn his back on his supporters in order to kowtow to the DNC. However, it would, at least in principle, be possible to completely rebuild the Democratic Party with the Sandernistas at the helm, and to do this at the local, state and national levels. At the same time, electoral reform and broad-based left-wing coalitions are necessary. The two-party system, which has increasingly proven itself to be the one-party system of Capital, has to be deposed. We need to instigate serious electoral reform by abolishing or overhauling the oligarchic Electoral College, expanding ranked-choice voting beyond Maine, developing proportional representation, encouraging a multi-party system with a two-round election, setting up regular public referenda (including with the possibility of dismissing elected officials), and reversing the massive right-wing anti-democratic assault on the right to vote. It was neither love nor tolerant liberals that defeated the fascism of the interwar period. It was the united and popular fronts of Communism and left-wing politics. 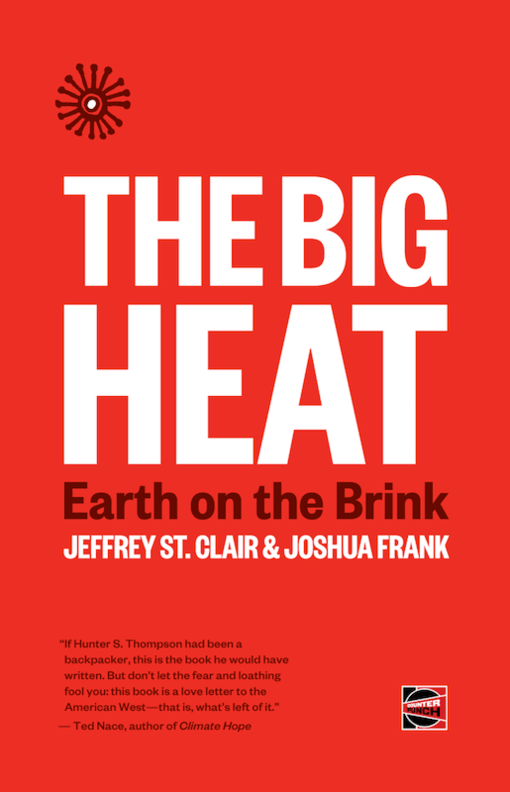 With the needle of institutionalized politics in the Western world, and elsewhere, moving consistently to the right over recent decades, the Left needs to build coalitions capable of uniting people of various ideological orientations around shared issues and concerns (such as climate change, mass deportation, economic oppression by the 1% and anti-fascism). The corporate media is directly responsible for the rise to power of ProductRump. They pandered to him and profited immensely from his meretricious prattle and crazy talk. They waited with bated breath for every public appearance, and they immediately broadcast and discussed ad nauseum the ignorant drivel that spat out from his belligerent mouth. The fact that he is off his rocker means that every appearance brought with it the possibility that he would say something outlandish that would create hype, and hence media revenue. He thus received far more attention than all other candidates, including billions of dollars worth of free media coverage. Moreover, corporate broadcasters knew very well that they were playing with fire, as Campbell Brown has pointed out in her critique of TV’s responsibility in the election results. The CEO of CBS, Leslie Moonves, glowingly declared: “It may not be good for America, but it’s damn good for CBS.” “The money’s rolling in and this is fun,” he said, “I’ve never seen anything like this, and this is going to be a very good year for us. Sorry. It’s a terrible thing to say. But, bring it on, Donald. Keep going.” This attitude, and the entire system of mass media spectacle, helped catapult a fringe freak show into the White House, who was only receiving about 1/3rd of the votes from the whopping 17% of registered republicans who turned out in the primaries. Cornelius Castoriadis was fond of insisting on the fact that you cannot have a functioning democracy without education. Although it is highly debatable whether the US is a democracy, it is undeniable that it has a media-money complex that has cornered the market on misinformation and infotainment. Driven first and foremost by profit, this system ignores or mischaracterizes real issues, indulges in fear mongering, ceaselessly perpetuates ideological tropes and stereotypes, and sidelines rigorous, critical journalistic work. Fortunately, however, there is an expansive network of publicly funded alternative media in the US. In boycotting, divesting from and sanctioning those who are directly responsible for a media jester’s arrival in the Oval Office, we should all donate to, volunteer for, contribute to, develop and help circulate alternative media (such as the various platforms I have referenced in this article). Given the expansive power and reach of the mass media, it is also important to monitor how it functions while cultivating rigorous and critical work within its interstices wherever possible. BDS movements should thus be selective and discern the important differences between various platforms since mainstream information networks remain important and can be partially mobilized, along with the further development of alternative networks, in order to nurture the collective education so necessary for a functioning democracy. As we approach the 50-year anniversary of 1968, and public figures like Beyonce, Kaepernick and Lady Gaga are bringing politics to center stage, the time is ripe for a broad and deep cultural upheaval that puts progressive radicalism in the forefront of daily life. The 1960s and 1970s saw an expansive radicalization, that stretched from the black freedom struggle and women’s liberation to the ecological movement, gay liberation, anti-war resistance and beyond. This New Left, as well as the important ‘Old Left’ heritage of labor struggles, had an enormous echo chamber in the culture of the time. Music, art, literature and lifestyle were consistent vehicles for emancipatory politics. Let us not be mistaken about this, particularly in a country where the youth has expressed overwhelming support for the Left, and at a moment when radical politics are clearly on the rise around the globe. A culture of progressive radicalism is a crucial breeding ground for the development of an educated and informed public, the formation of consolidated like-minded communities, and the instigation of significant social, political and economic change. As the nightmare of neoliberalism sinks into the horror of neo-fascist-liberalism, with a ghoul mobilizing the wreckage of neoliberal globalization into xenophobic brigades destined to be re-used as capitalist cannon fodder, the drumbeat of countercultures can rouse many from the slumbers of this gruesome dreamscape and put them in sync with fellow travelers who are ready to dance and shake off the horror. Artists, writers, musicians, intellectuals and cultural actors of every sort should come together, as all of us should in our daily lives, in order to foster a new ethos of alternative social and political imaginaries. The time could not be riper for an emancipatory groundswell. Let this spring, which due to human-made climate change is already happening in the fall and approaching winter, be the springtime of the people. Resistance and protests, organized social movements, a popular front on the Left, a publically-owned Fourth and Fifth Estate, and a common culture of radical leftwing politics could set the stage for an epic struggle against—and defeat of—neoliberalism’s crescendo into neo-fascism.